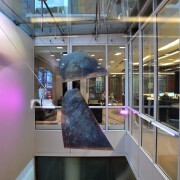 Kew Capital, a private investment advisor, appointed Workplace Art to advise on the commissioning of a sculpture for the atrium space located on the first floor of their building. 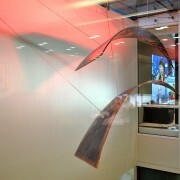 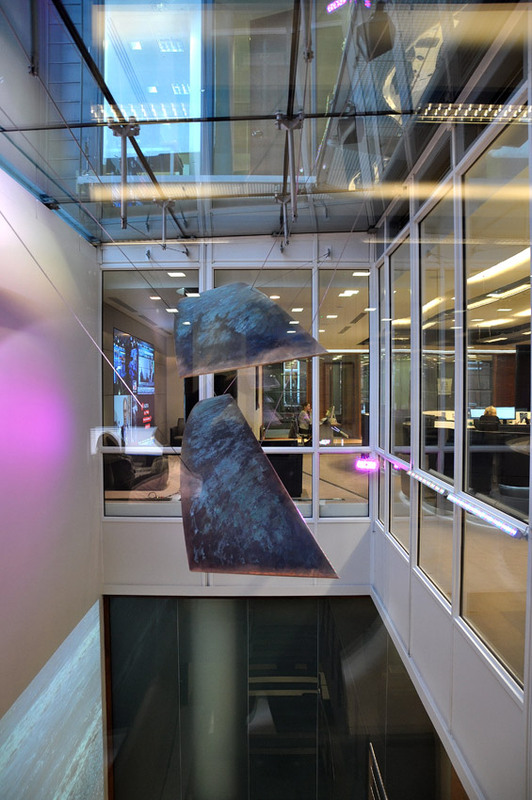 Rob Olins was selected to create and install a suspended sculpture fabricated from two single skinned patinated and waxed solid bronze forms. 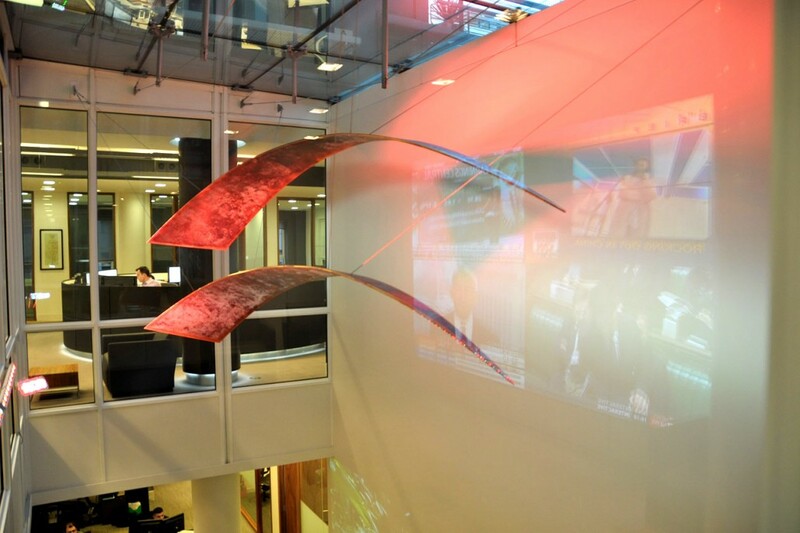 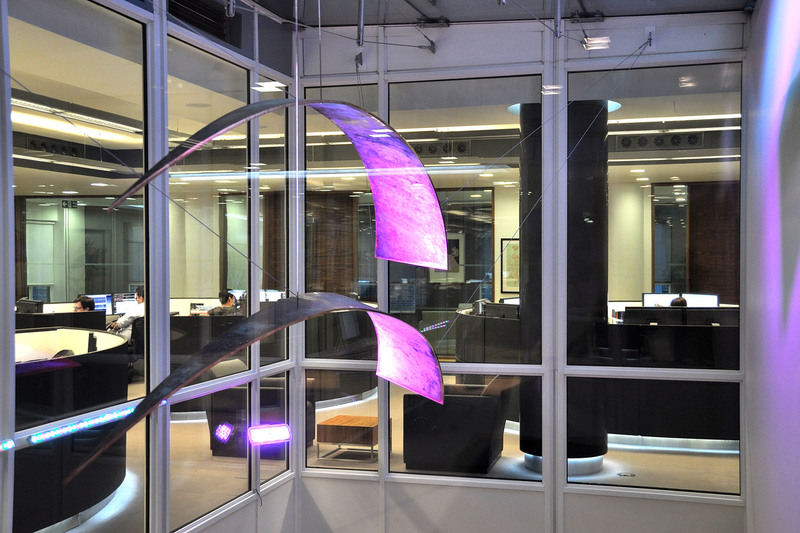 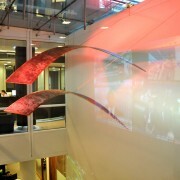 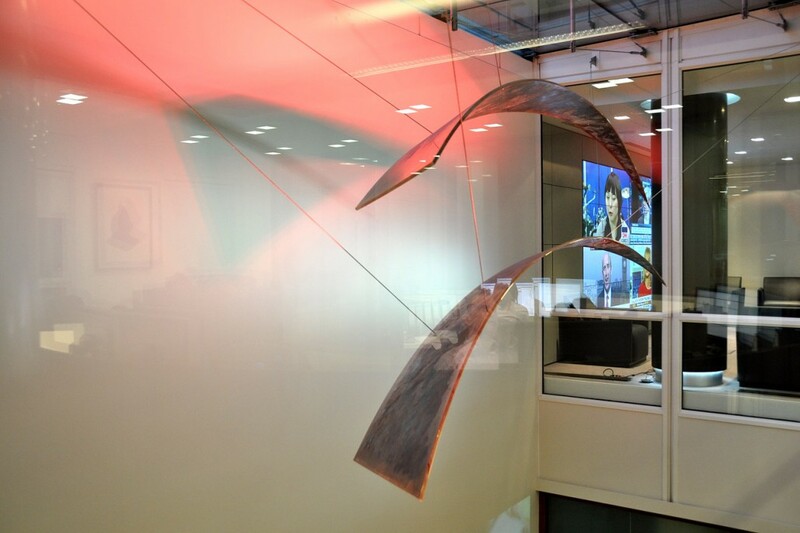 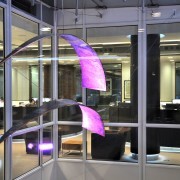 Olins, together with Workplace Art, was also appointed to advise on and commission the lighting, designed to alternate during a working day cycle providing an engaging and dynamic addition to the working environment.